One of the world’s most popular bands is coming to Santa Clara on Wednesday, but the event is garnering mixed reactions due to traffic and logistical concerns. 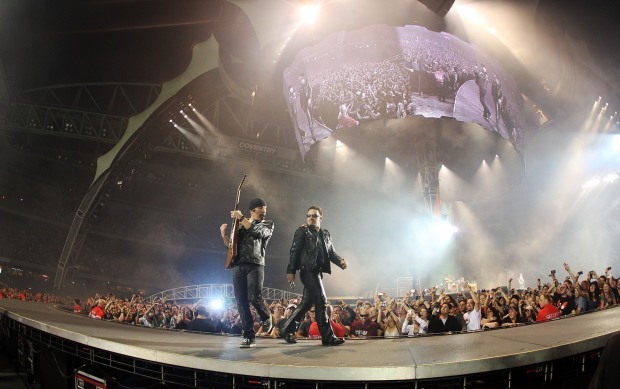 U2 is scheduled to perform at Levi’s Stadium at 6:30 p.m. Wednesday. The performance is part of “The Joshua Tree Tour 2017” — named after the Irish rock band’s fifth album — and will feature Mumford and Sons. Roughly 50,000 fans are expected to pack the South Bay arena to watch the legendary musicians' live show. Of the attendees, about 6,000 will turn to public transportation, VTA estimates. Toward that end, VTA trains will be running till later at night to accommodate concertgoers. But the additional service will cost about $50,000. "We kind of had to scramble a little bit to get our extra service going to make sure there wasn’t a public safety issue and people were left at the stadium stranded," VTA spokeswoman Stacey Hendler Ross said. 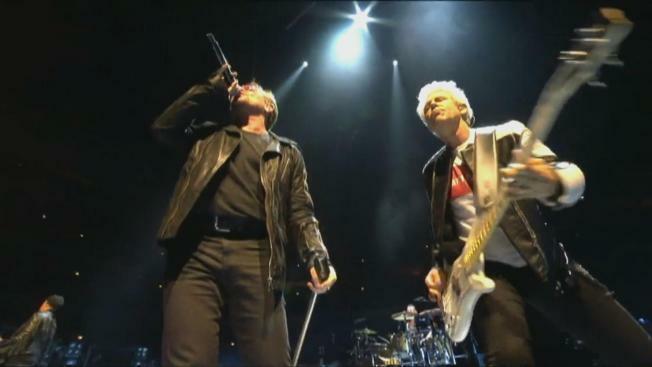 One of the world’s most popular bands is coming to Santa Clara on Wednesday, but is garnering mixed reactions. At a Santa Clara City Council meeting on Tuesday, incensed city leaders decided that the San Francisco 49ers, who manage the stadium, will have to shell out that money. In January, the 49ers approached the City Council, asking for a curfew extension from 10 p.m. to 11 p.m. A council majority denied the request. “It’s asking too much of the community to support late-night events weeknights at the stadium,’’ Mayor Lisa Gillmore said at the time, according to the Mercury News. Nonetheless, it appears that the show will go on – at least until its intended 11 p.m. In response, the Santa Clara City Council – at the recommendation of Interim City Attorney Brian Doyle – approved a motion on Tuesday to have the Stadium Authority notify the 49ers of a potential breach of contract. The show lasting past the 10 p.m. curfew — despite the city’s clear instructions otherwise — is what they view as a violation. To accommodate the influx of concertgoers, Tasman Drive will be closed all day from Convention Center Drive to Centennial/Marie P DeBartolo Way. Fairway Glen Drive and Eisenhower Drive will be closed on the east side of Lafayette Street. Bassett, Davis and Fillmore streets and Lake Santa Clara Drive will be closed to the west of Lafayette Street. Checkpoints will also be set up at the intersections of Lafayette Street and Calle de Primavera; Bassett Street and Wyatt Drive; Agnew Road and Lafayette Street; and Agnew Road and Mission College Boulevard. Caltrain will also run a single northbound train after the concern. It will leave either 75 minutes after the concert or when the train is full.